Italiaonline’s partner websites where you can plan your online advertising campaign through IOL Advertising. Eleven Sports is a global sports provider dedicated to delivering world-class international and domestic sports and lifestyle entertainment. In Italy the web TV show schedule displays football (Serie C and Serie D championships), volleyball (Superleague and A2), motors, waterpolo, fencing and many other sports, including international content. 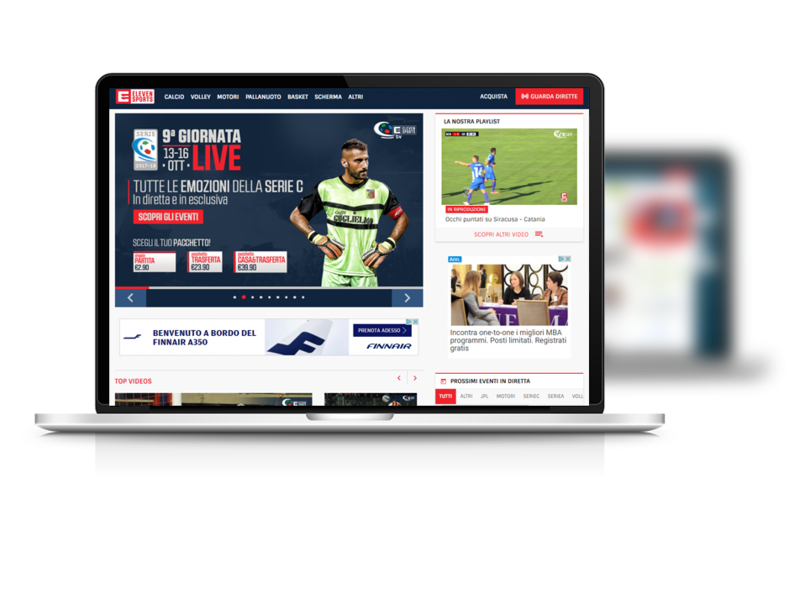 Eleven Sports Italia produces over 6,000 videos every year, featuring news, highlights, contests, insights, headlines and web formats. Great focus is put on the local sides, with a huge coverage of sports events from all Italian counties. Italiaonline, through IOL Advertising, is the exclusive adv sales agency for Eleven Sports Italian web property and its network.